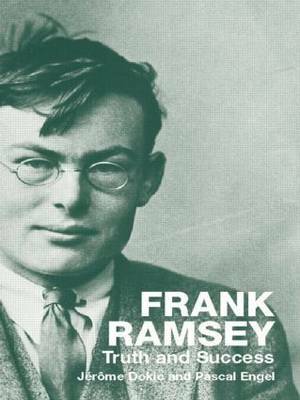 Despite his tragic death at the age of 26, Frank Ramsey (1903 - 1930) remains one of the most intriguing minds of the twentieth century. His thought had a profound influence on both Ludwig Wittgenstein and Bertrand Russell, and many strands of contemporary analytic philosophy find their origin in Ramsey's ideas. Frank Ramsey: Truth and Success provides a much-needed introduction to the work of this undervalued thinker, and makes an important and profound contribution to our understanding of Ramsey's work and his place in twentieth century philosophy. It will be of interest to all students of logic, metaphysics and the history of philosophy.